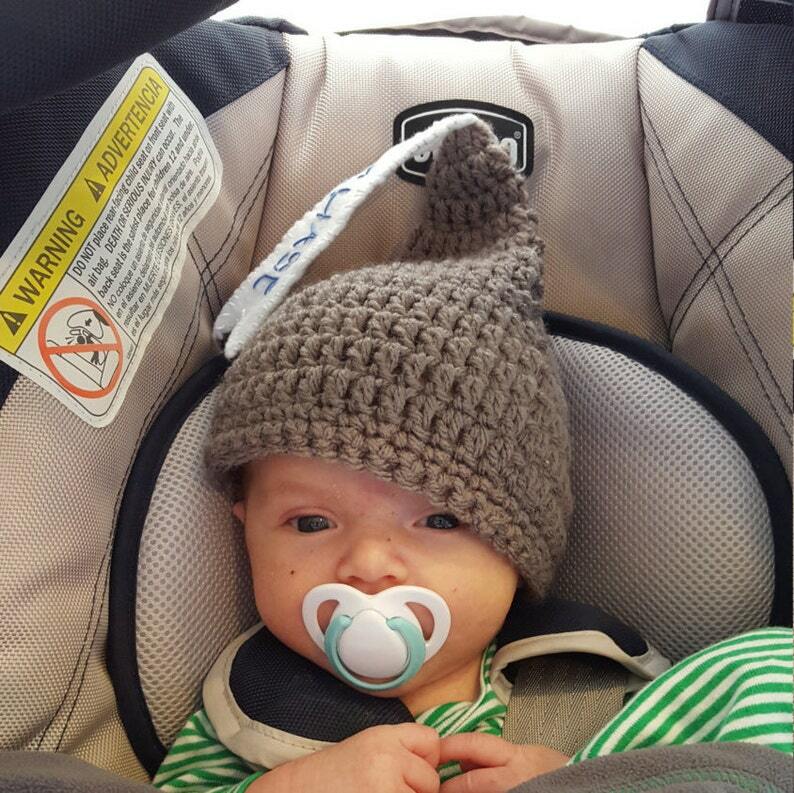 This Hersheys Kisses baby hat is made from soft gray or brown yarn. I've added a white felt banner that will say the name of your choice in blue thread. It's perfect for those Valentine's Day pictures. It would be perfect for triplets, 2 boys and 1 girl, or twins, a boy and a girl. If you prefer different colors I can do that, or the name can be made in pink. This hat can be made in any of the sizes offered. Please hand wash this hat and lay it flat to dry. What a great shower gift this would make for a co-worker or friend. Or you know someone having a baby or babies around Valentine's Day. This is for them! Your hat will be made and shipped approximately 2 to 3 days after your order is complete. Please let me know in the note to seller if you want a different color for something. If there is no note the hat will be made as pictured. I will need the correct spelling of the name to be put on the tag. If you prefer I can write the word KISSES. This hat is available in gray or brown at checkout.